Marooned on an alternate Earth. A former soldier, Benjamin Ried must navigate a post-apocalyptic Earth now controlled by The Roman Galactic Empire and laced with conspiracy, betrayal, and corruption. Born in 1961 in Nambour Queensland, AJ’s family moved to Ipswich where he spent his childhood and early part of his adult life. From his early years, AJ began showing a fondness for a vivid imagination fuelled by his mother’s collection of Life encyclopedias. Especially the ones about ancient Rome, Greece, and Egypt. Then came his growing interest in Science Fiction, which ran alongside his interest in the second world war. However, with the screening of Dr. Who and the original series of Star Trek, Sci-Fi soon won the top spot of his hobbies and passions. Rising from those early days also came an emerging desire to write. Not a lot at first, in fact, his imagination often outstripped his writing abilities, but the urge to scribe and tell stories stayed to niggle and itch. His high school years found AJ spending many lunch hours in the library reading one of his favored authors, Jules Verne, HG Wells, Isaac Asimov, James Blish, and others. Then came the first Star Wars film and his renaissance in science fiction received a jolt. However, AJ’s life didn’t always revolve around reading and writing. He also builds and assembles model kits, many of which have won awards. Now you could be forgiven to think that AJ leads a rather sedate life, well not so. For almost two decades he dabbled in the sport of rock climbing. This sport also suited his other interest of hiking and backpacking, and on spare weekends AJ relieved the day to day stresses by running through the bush or open fields littered with inflatable barricades to play Paintball. Nowadays AJ will, on occasion, tread the boards with a local community theatre group. He has also written two small plays, directed one of those and walked away with a couple of awards. When he isn’t pretending to be someone else, AJ spends time with his wife Sandy, their dog Jack and his two grandsons, and venturing on the odd overseas trip. 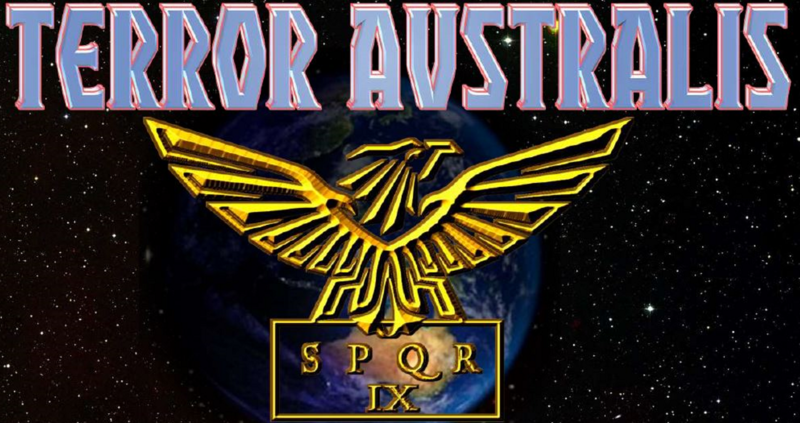 AJ’s first endeavor into the world of online publication is with ‘Terror Australis.’ He describes the idea as a throwback to his childhood, reading those stories on the ancient civilizations. Of course, there is his love of science fiction and adventure. The later fed by authors such as Bernard Cornwall and Lee Child with the Sharpe, Starbuck, and Jack Reacher characters and stories.